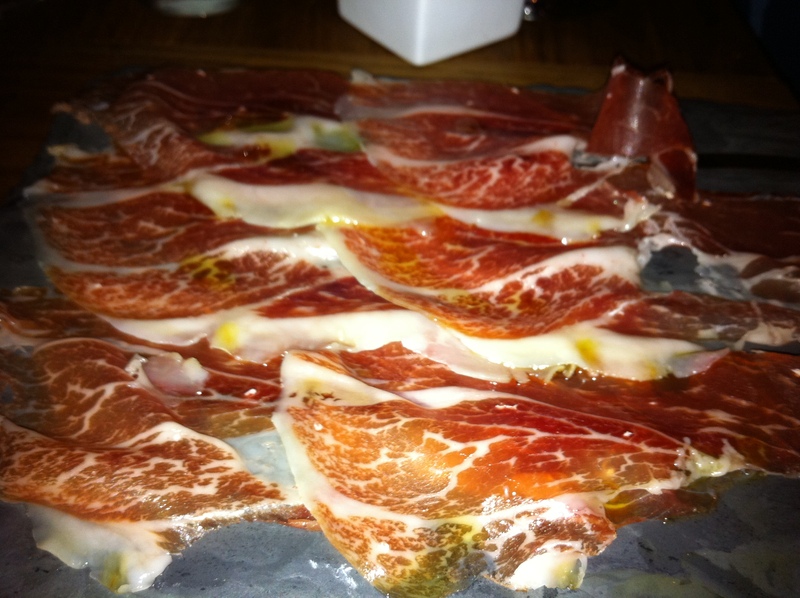 Upon our most recent visit to Spain, we were introduced to Jamon Iberico de Bellota. For the uninitiated – the finest aged pork in the world, sliced paper-thin. 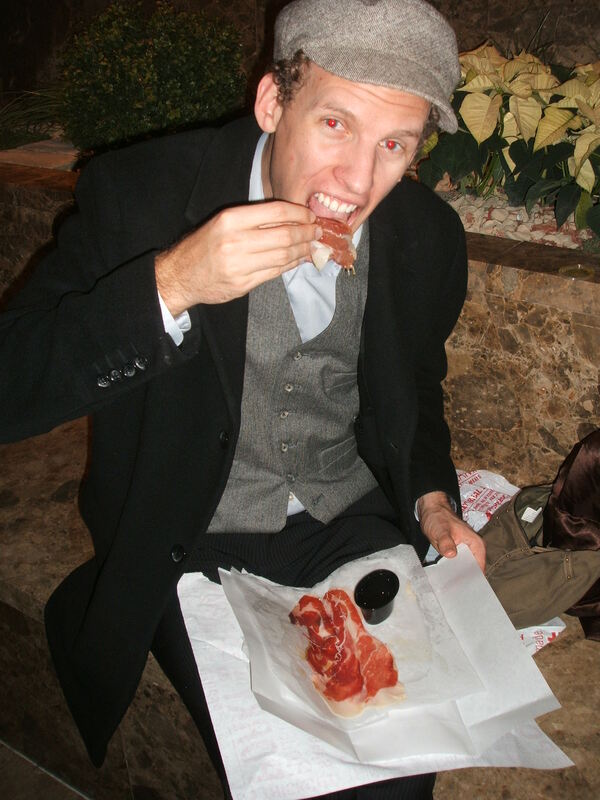 “Prosciutto on crack.” It’s woody, buttery flavor and smooth texture is appropriately addictive. Apparently these unique Spanish hogs are identified by their black hooves (pata negra = black legs). After being fed corn and barley when they are young, they are released to roam oak groves and eat a diet chiefly comprised of acorns (where they derive their nutty flavor). The meat is then aged for 3-4 years. At around $99/lbs or ~$2-4K per leg, it ‘ain’t cheap. Besides bribing my flight attendant buddy to bring me a hunk as Connie’s last Christmas present (yes, you read that right), it is incredibly difficult to find due to do import restrictions (recently relaxed a bit). Posted on June 25, 2011, in Food. Bookmark the permalink. 3 Comments. What about Bar Lata in Oakland! Agreed, thanks for the catch!